Whether you’re doing a triumphant triathlon, some soul-stretching yoga, relentless rock climbing or ballsy beach volleyball, play your best with KT Tape! It’s hard not to do a double take when you see athletes donning brightly colored tape on their toned bodies. But what is it exactly? How does it work? It’s Kinesiology Therapeutic Tape (KT Tape) and it’s used for common sports injuries such as ITBS, runners knee, shin splints, hamstring strain, & many more. Ultra-light, elastic, and strong, KT Tape is highly effective at providing pain relief, stability & support, & faster recovery for injured or sore muscles and joints. Sounds pretty sweet! 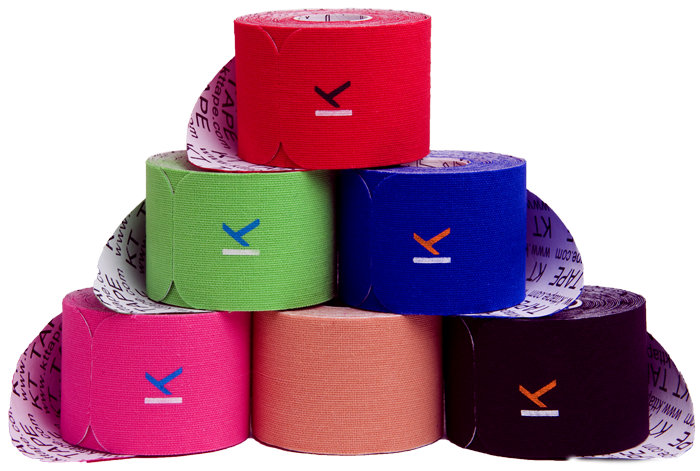 Be a Top Skimbler in September and score some KT Tape to wrap all your aches and pains away. We had a great time stress-testing KT Tape, finding it to be the most flexible and durable athletic tape that we’ve ever used. If you’d like more information about the tape, visit the KT Tape website. 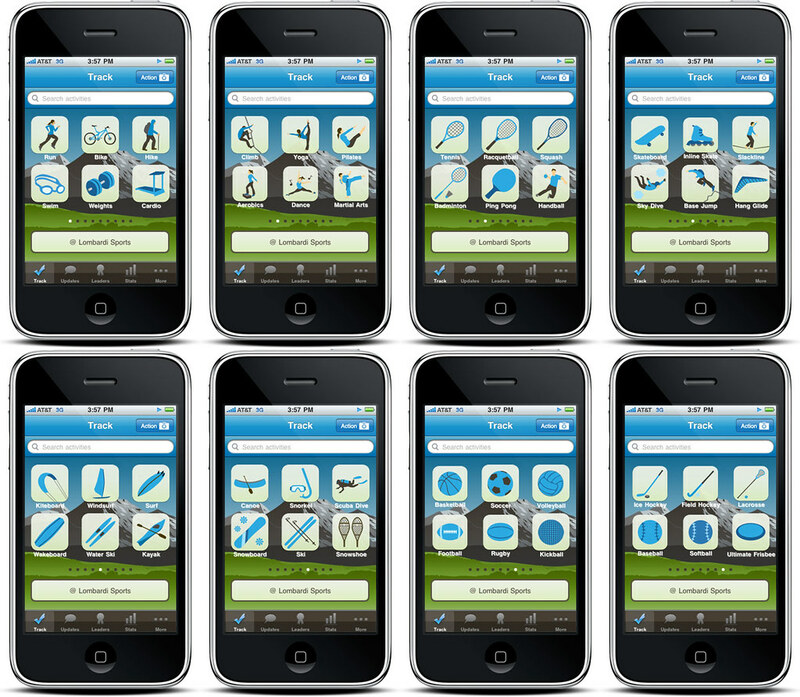 Be sure to check out their blog and get tips for excellent adhesion, sports prevention and recovery! 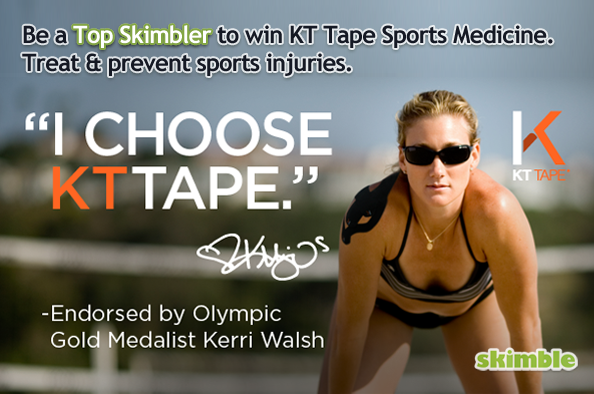 If you can’t wait, grab some KT Tape at a store near you. Kerri Walsh gets ready to crush with KT Tape and so should you!